Poster: "I Stand for Giggling While Jiggling. Joy is Healthy at Every Size"
That’s me! Learn more about the Stand4Kids campaign here. 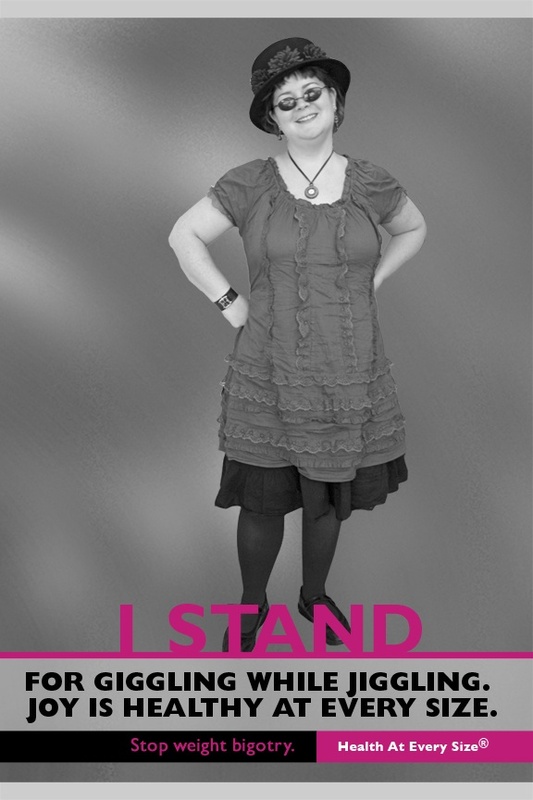 See all the other “I Stand” posters here. This entry was posted on January 27, 2012 at 2:33 pm and is filed under Uncategorized. You can follow any responses to this entry through the RSS 2.0 feed. You can leave a response, or trackback from your own site. That’s awesome Penny! Both in photo and message! Off to check out the rest of the posters.